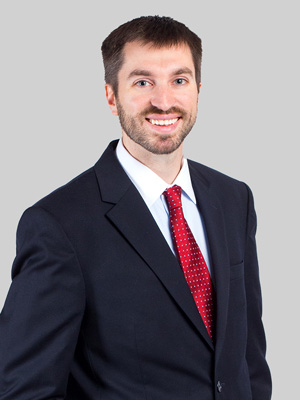 Jon represents clients before the United States Supreme Court, federal appellate and trial courts and state courts in cases involving the First Amendment, class and collective actions and federal employment laws. He focuses on federal appellate work and represents clients in a range of employment litigation matters, with a particular emphasis on defending class and collective actions based upon state and federal wage and hour laws and providing counsel on wage and hour compliance. He also represents companies facing employment discrimination claims and various other civil and commercial disputes arising in business litigation in his nationwide federal court practice. He has represented clients in high-profile constitutional litigation in federal courts involving Section 1983 claims, injunction practice, intervention proceedings and the First Amendment. He regularly counsels and advises religious nonprofits, churches and closely held companies regarding the nuanced legal issues these entities encounter while seeking to carry out their religious mission. Jon was previously senior litigation counsel at a nonprofit litigation firm based in Florida that focused on litigating First Amendment and religious liberty cases. He was an associate in Fox’s Blue Bell office from 2012 to 2015, and before that, in the Pittsburgh office of a global law firm where he served as trial counsel in a federal jury trial involving Section 1983 and constitutional claims. Jon is an active member of his local church and has served as a board member on several religious nonprofit organizations. He is currently on the board of a religious nonprofit camping and conference ministry. He is also a member of the Alliance Defending Freedom network of attorneys and has been commissioned as a Blackstone Fellow. He is also an overly committed sports fan, cheering for anything Philadelphia, Notre Dame football and Duke basketball. Jon is also an Adjunct Professor of Political Science at Geneva College, located in Beaver Falls, Pennsylvania, where he teaches constitutional law.